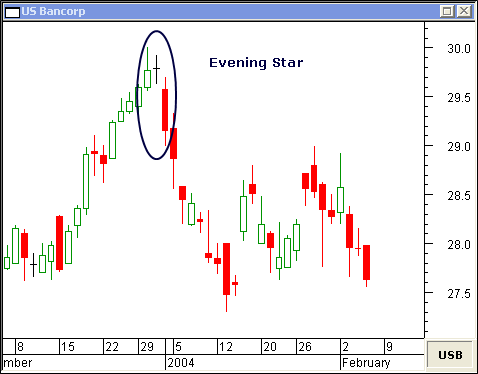 he Morning Star Candlestick and Evening Star Candlestick patterns present a clear sign the trend will reverse. Use the following charts as a guide for discovering the pattern. 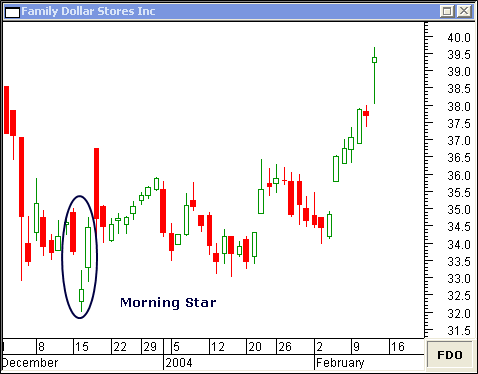 The Morning Star pattern which completed on December 17 preceeded a $7.00 run-up on this Family Dollar Store Inc daily chart. 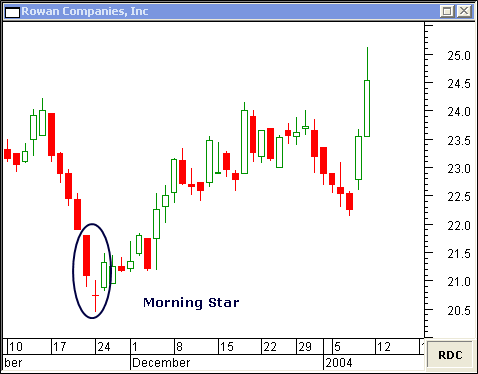 On November 25, a Morning Star pattern on this daily chart printed a bottom for Rowan Companies, Inc. The star in the pattern is known as a Doji. 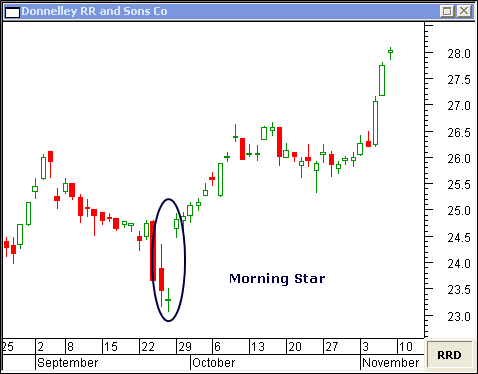 The September 27 Morning Star on this daily chart was the beginning of a 5-point run-up for Donnelley RR and Sons Co. 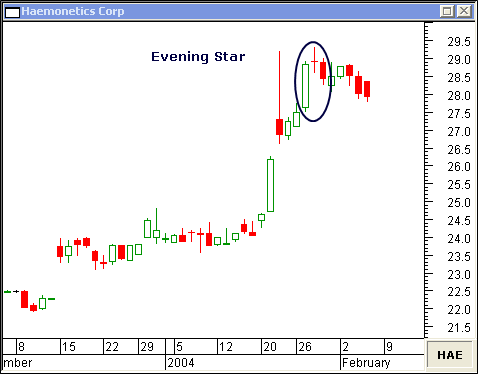 The Evening Star candlestick pattern is suited for pinpointing short-term pull backs or areas of consolidation. On this daily chart of Haemonetics Corp, the Evening Star which completed on January 29 brought the quick price burst to an abrupt halt. 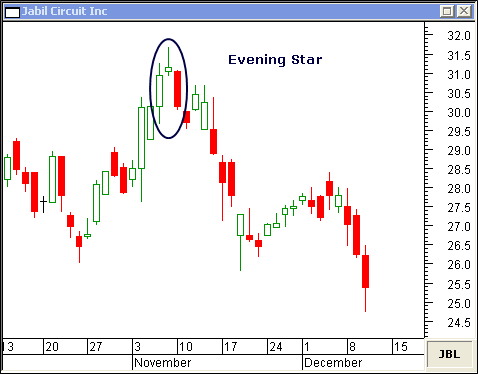 The Evening Star which formed on November 10 is the top of an inverted V on this daily chart of Jabil Circuit Inc. This is an example of a Doji Evening Star... appearing January 2 on this daily chart of US Bancorp.